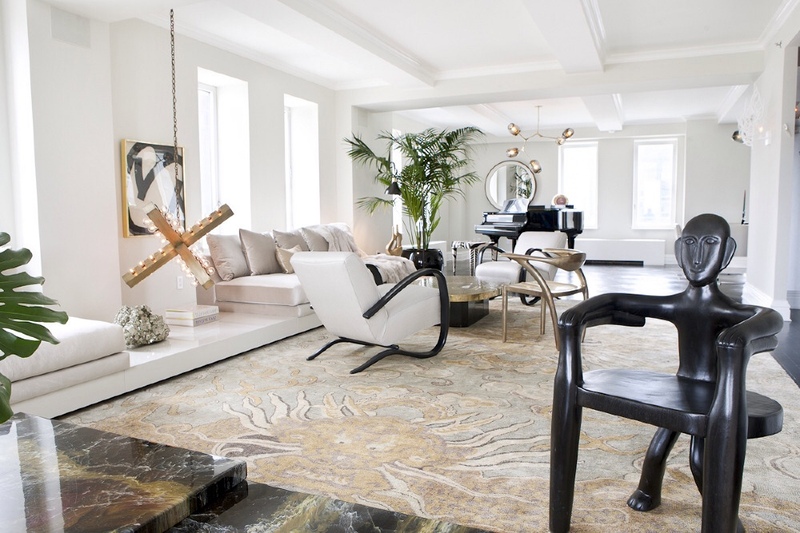 Ivanka Trump commissioned Kelly Behun to design her penthouse on Park Avenue prior to her delivery. She wanted he penthouse to be a home for her lovely family. As a first step she chose the location close to her work and Central Park since she wanted to check on her child whenever she could get the chance. For her apartment she chose certain pieces and worked around them, that's the way she likes to work. 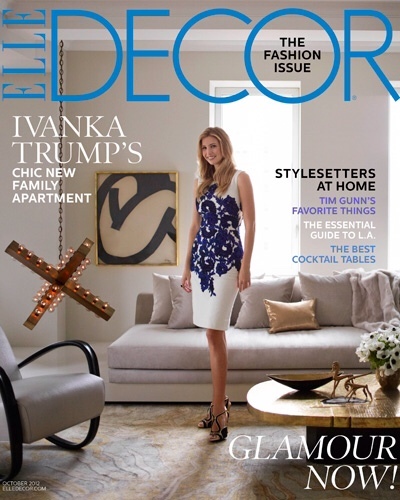 Kelly Behun's vast number of selections helped with her choices, according to the article prepared by Elle Decor. 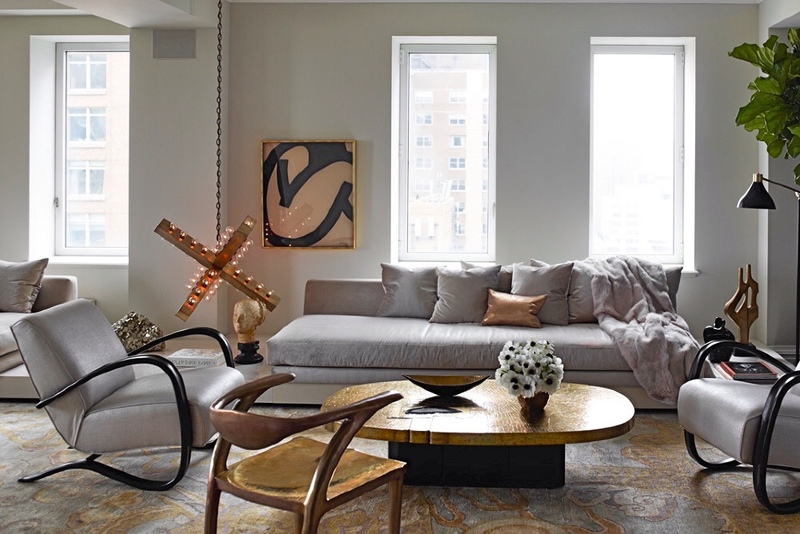 Many of the pieces were custom made but not the dining room chandelier by Lindsay Adelman which according to Elle Decor, was her favorite piece in the house. Her dining chairs are by Mies Ven Der Rohe, iconic pieces. This sectional is in Christian Liagre fabric, I loved the subtle introduction of color in this specific area. Here Ivanka chose the nursery to be all in white, which is a beautiful peaceful color. She can always add stimulating colors in the playroom. This beautiful Mural is by Bob George Studio. It reminded me of DeGourney's wall coverings.The herring bone wood flooring gave a beautiful contrast to the custom made central table. The beautiful Ivanka Trump infront of her Manhattan apartment in Jean Paul Gaultier and her own jewelry & shoe design. Get Elle Decor's October 2012 issue for more details. Photos By Eric Piasecki for Elle Decor & via Kelly Behun's website.